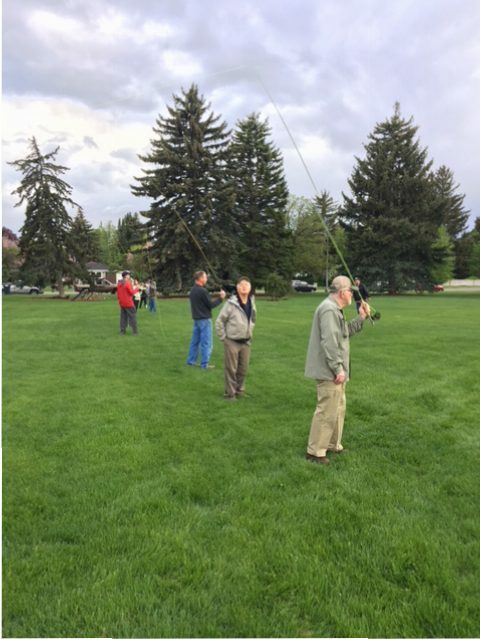 On May 15 the Snake River Cutthroats held their annual beginning and intermediate fly casting clinic at Tautphus Park. John Rivera, the Lead Casting Instructor, along with help from Bruce Staples, Marv Stucki, Joe Timchak and Rory Cullen assisted 13 beginners. All showed substantial improvement over the 2 hour session.